Across a range of artistic disciplines, artists are dealing with audiences in innovative and creative ways, placing the audience at the heart of their work. Contemporary culture is marked by the emancipation of the spectator and the transformation of the audience from passive recipient to active participant. This workshop is a critical and practical investigation of what is at stake for audiences today when they attend a live event. 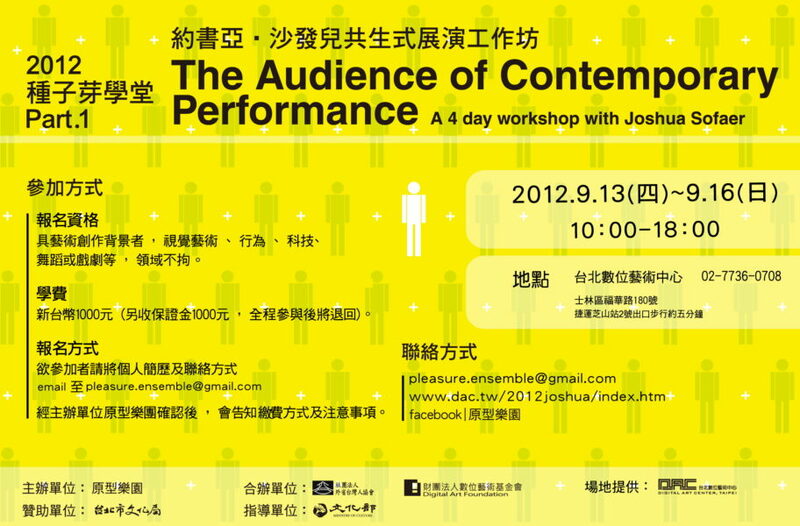 Participants will be encouraged to explore, examine and create innovative ways of working with audiences. The workshop is aimed at artists engaging in performance (involving any medium, including visual art, live art, dance and theatre) who are interested in expanding the possibilities of how they integrate audiences into their practice.